Formerly Oryzopsis hymenoides. 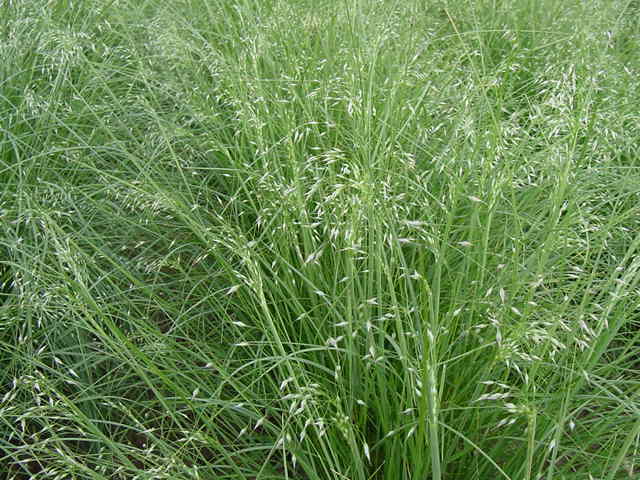 Densely tufted, cool season, perennial bunchgrass, adapted to deep, well-drained soils. Tolerant of weakly saline and sodic soils. Very drought tolerant and winter hardy. Valuable for stabilizing sandy soils susceptible to wind erosion. Excellent for native restoration, rangeland improvement and disturbance reclamation. Often slow to germinate but good seedling vigor. Sometimes occurs as a dominant species. Forage is highly palatable and nutritious to livestock and wildlife. Seeds are sought by birds and small mammals.